So long Autumn Loyalty Promotion, Hello to our Big Christmas Giveaway! So our Autumn Loyalty Promotion ended on October 5th and we entered all our contractors who had been with us for 8 weeks or more by 5th October into our Big Giveaway. There were also extra entries for those who wrote a testimonial, completed our survey, or referred a friend or colleague. Congratulations to all the winners, we hope you enjoy your amazing prizes! Click here and you’ll be redirected through to the ICS referral page where you can complete the referral form. Once your referral has signed up to our Limited Company Service or Umbrella solution your name will be added as 5 extra entries to the prize draw. Complete our short customer services survey on Survey Monkey. It’ll just take two minutes we promise! 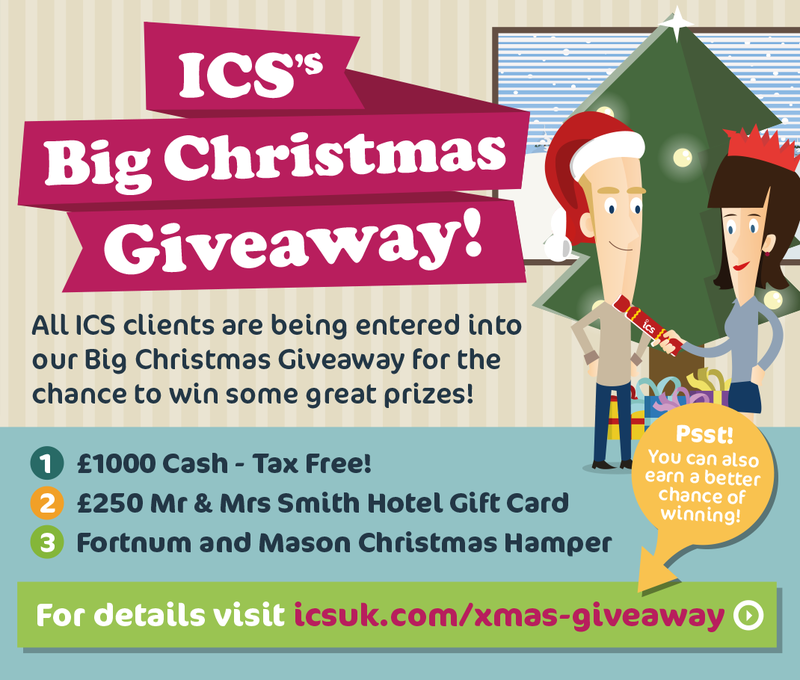 Only those that have been a client for more than 8 weeks on 11th December 2015 will be entered into the draw. There is no limit to the amount of people you can refer to our Limited Company Service or Umbrella solution. Referral has to sign up to our Limited Company service or Umbrella solution and have signed the service agreement. The incentive ends on 11th December 2015 and can be withdrawn at any time. ICS employees and their family/friends are excluded from this promotion.